Overview of Importing and Converting NDPS, iPrint, or Legacy Queue Printers. It is easy to import your eDirectory backend print system and convert the end user’s installed NDPS, iPrint, or legacy queue printers to Printer Installer managed TCP/IP printers. See the below overview for a quick understanding of the process and then use the specific steps to import your printers. Use our Printer Migrator to import NDPS, iPrint, or legacy queue printers from eDirectory into Printer Installer. Note: The import process only reads information from eDirectory. The printer objects remain completely functional during and after the import process. 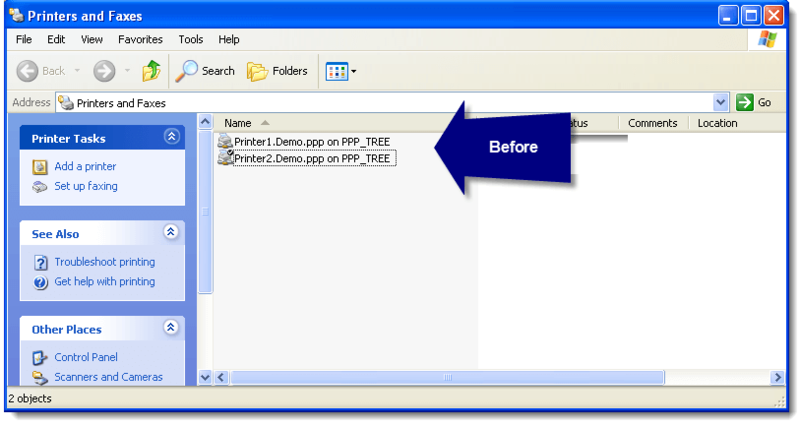 Now that the printers are imported into Printer Installer, we will enable the "Convert end user NDPS, iPrint, or legacy queue printers" option in Printer Installer to convert all of the NDPS, iPrint, or legacy queue printers that are currently installed on the end user computers. During the next login the end user printers will be converted to Printer Installer managed TCP/IP printers. 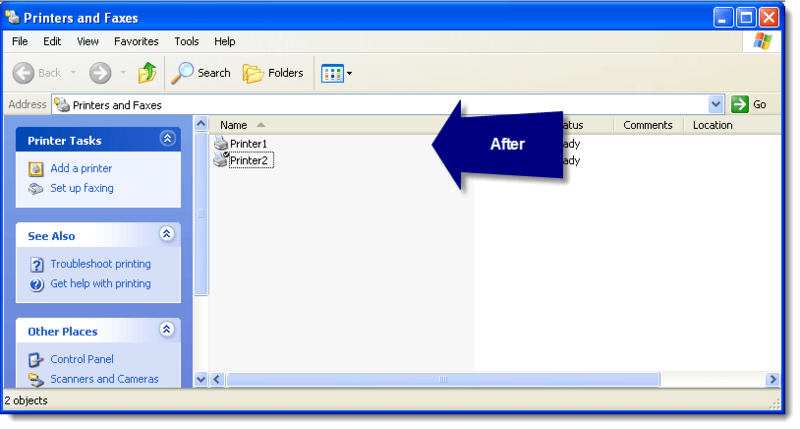 The end user printers are now converted from NDPS, iPrint, or legacy queue printers to Printer Installer managed TCP/IP printers.